Many people find themselves falling into a sedentary lifestyle because of their jobs which require them to work at a desk. Since so much of their lives are committed to their work, it can be complicated to try to find time for physical activity. However, you’re not doing yourself any favors mentally or physically by not getting up and moving throughout the day. It’s in your best interest to get your body active and in shape. You won’t just find that you feel better physically, but you’ll feel more motivated overall. Here are some of the simplest ways to inject more activity into your daily life. 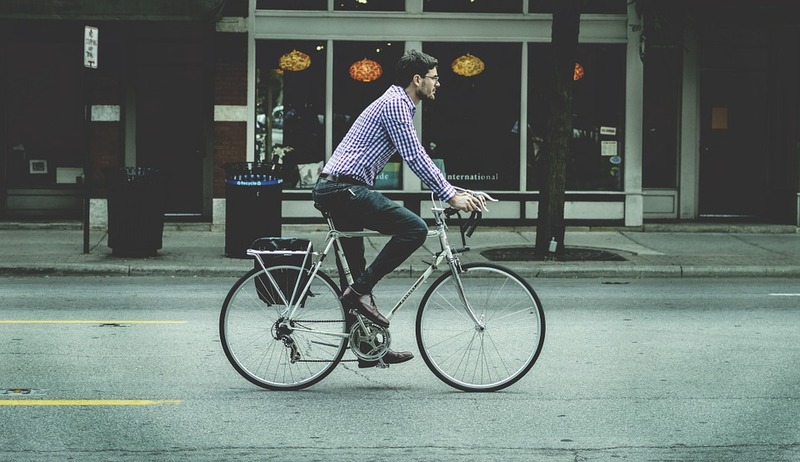 Using an alternative mode of transportation to get around is a great way to be more active and save money at the same time. You can do anything from walking to work, to taking a bike. Some people even rollerblade or skateboard. The idea is to get at least thirty minutes a day of movement, and even more if possible. If you can combine your commute to work with your workout, then you’ll save yourself a considerable amount of time and hassle. Since you have to get to work anyway, it can be a great motivation. Many people find that they have a huge motivational boost by wearing a fitness tracker. A fitness tracker such as a Fitbit encourages the person to get up and move more throughout the day. By being able to monitor your progress throughout the day, you’ll be able to see if you need to be more active or not. In addition to keeping an eye on your own step count, you can also see your friends who also use the application. You can have competitions together to see who climbs the most flights of stairs or gets to their step goal first. As a result, you’ll find that you’re even more motivated because of a little healthy competition. Going to the gym to get in a workout is one of the best ways to exercise in a comfortable environment. As opposed to working out at home or running outside, a gym is a temperature controlled with specially created machines to target each area you want to tone. Nowadays gyms have competitive pricing which is hard to turn down. They often include several free personal training sessions and even group classes. If you love going dancing, then you’re in luck. Dancing can be just as much of a workout as going to the gym or running depending on the intensity. If dancing is something that you have a passion for, then you can combine your social life with your workout as a result. It won’t even feel like you’re working out!